This week's post is today on Wednesday instead of Friday, for community reasons, and it is a review of one of the two Australian films out now (a rare occurrence). The best part of The Water Diviner (Russell Crowe 2014) is the beginning, a long wordless sequence when the main character Joshua Connor, played by Crowe, looks for water with his dog, and when he finds a suitable spot he begins to dig, deep into the ground, until he eventually finds it. As this is in rural Australia, and it rarely rains, his ability to find water is a necessary survival skill. This survival skill will also be necessary when he, in 1919, travels from Australia to Turkey to find out what happened to his sons who went to Europe to fight in the First World War. Or rather, to find their bodies and bring them home, since in all likelihood they have all been killed. This is the story that Russell Crowe has chosen for his first film as a director, a story that is a quintessential Australian story as the First World War and the catastrophic battle at Gallipoli, or the battle of Çanakkale, in 1915, has become, as I have said in an earlier post, a central part of Australia's idea of itself. So The Water Diviner can be seen as a continuation of the story that Peter Weir told in Gallipoli (1981). That was about the going to war, and going through war, this is about the aftermath, of the British and the Australians, together with the Turks, coming to terms with the losses, finding and burying the dead. It is a grisly job. And Joshua Connor wants to be a part of it, to personally look for the remains of his sons. Hughes, the British officer in charge asks the Turkish officer, Captain Hasan, why they should help Connor. "Because of all the fathers, he is the only one who came looking." Hasan answers, in the most moving line in the film. The scope and ambitions of The Water Diviner are impressive, and covers war, remembrance, imperialism, empires, the foundation of modern Turkey, and reconciliation and forgiveness. Turkey and Australia may have been enemies in the war, but in peace the shared costs make them friends, and not only does Connor and Hasan, form a deep bond, but Connor also falls in love with Ayshe; a Turkish woman, a war widow, and as such initially hostile to Australians such as Connor. So there are important themes here, and a humanistic message, which is however undermined by the fact that the Greek, with whom Turkey is at war with, are portrayed as pure evil. Considering the Turks had just slaughtered over a million Armenians it is not clear why Greece is singled out in this way. Australia is also criticised, and the British, but they are not demonised as the Greeks are. The Turks are not criticised at all, it seems, only the male chauvinism of Ayshe's brother-in-law. I am not excusing the Greek, they too have a habit of behaving badly, but it seems unfair that they are singled out as uniquely evil. When the Turks pushed back the Greeks there were plenty of atrocities, such as the burning down of Smyrna (now Ízmir) by the Turks in 1922. But that is not mentioned in the film, this is to some extent the Turkish version of events. But it is still remarkable how much the film does engage with several of the geopolitical events at the time, although even for me, who has some knowledge of the history, the film was frequently confusing as so much was only alluded to, or abruptly introduced. As a director Crowe manages the visual aspects rather well, and there are many impressively shot and staged scenes, but there is also a tendency to visual clichés, both in colour grading and landscapes. Worse though are the frequent errors of judgement both when it comes to the pacing and when it comes to the sentimentality. Some scenes were just plain embarrassing, such as the one in which Connor, Ayshe and her cute son splash water on each other in slow motion. In fact the whole romance between the two, although meaningful for its message of forgiveness and bonding between two countries and two religions, was handled in a clumsy and forced way, and with a rather manly perspective. The growing friendship between Connor and Hasan, played with quiet conviction by Yilmaz Erdogan, was handled much better. Their friendship was convincing, and more profound. There was real beauty there; in the relationship between Ayshe and Connor there was only sentimentality. It does not help that Olga Kurylenko, who plays Ayshe, is unable to add depth or flesh out the character. But she, and the other Turkish characters, at least Turkish with each other and English only with Connor. The Water Diviner is not a great film, but for all its flaws it is still a commendable effort to teach forgiveness and tolerance. Had the Greeks been left out of the picture, and had there been a better actress than Kurylenko and a surer grasp of pacing and editing, it might even have been a great film. The other Australian film out now is of course Mad Max Fury Road (George Miller 2015). I like that one more than The Water Diviner, in fact on occasion I was almost jumping up and down in my seat. Time being what it is, i.e. constricted, I have decided to limit myself to publish a post every second week instead of every week. So alas, this is all you are going to get today. But time being what it is, i.e. fast-moving, next Friday will be here before you know it. Although there are several hundred films about American Indians there are few that are actually made by American Indians. 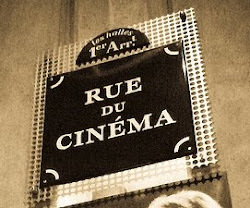 Perhaps around 100 films in total (including short films, features and documentaries), with few being given a general release and almost all of them made in the last 20 years or so. The first that was given a commercial release was Smoke Signals (Chris Eyre 1998), based on Sherman Alexie's short story "This Is What It Means to Say Phoenix, Arizona", making it something of a milestone. It is a road movie of sorts, and in many ways a quintessential American indie film of its time, in style, tone and theme. Two cousins who grow up together since one of them, Thomas, lost his parents in a fire when he was newly born, travel by bus from Plummer, Idaho, to Phoenix, Arizona (which takes about 24 hours), to collect the ashes of their dead dad/uncle. He had left his family many years ago and his son, Victor, feels nothing but bitterness towards him. Bitterness seems to be Victor's default feeling towards most things in life, perhaps towards life itself, whereas Thomas is a more cheerful guy, who might be considered childish and naive, but the film suggests that it is rather he who is the wise one and the cranky Victor the immature one who must grow up and face the true facts of his childhood. That is one theme of the film, to forget the sins of our fathers, such as they are. The film effortlessly moves back and forth in time, between the time of the death of Thomas's parents, the time when Victor's dad left, and the present, capturing their lives in snapshots of grief. But in the present the mood is more varied, switching between satire and pathos, laughter and anger. Victor and Thomas come from the Coeur d'Alene reservation, and that fact that the film is not just about any two guys going on a life-changing road trip but actually about American Indians, and their part in American history and culture, is what gives the film its edge. The way they live, the way they travel, where they get to sit on the bus, how they look at the world, how the world looks at them, all of this is profoundly related to the fact that they are Indians. The filmmakers have said that they wanted to make a film that said something like "We are still here, you did not manage to wipe us all out, much as you tried." and from this the film receives its force, despite being slightly unsatisfying otherwise, such as the complete change of Victor's personality towards the end. Beyond showing the life for contemporary Indians, the strength of the film is often related to its humour. When Thomas and Victor are set to leave the reservation to go to Phoenix, they and two girls joke about getting passports and perhaps get vaccinated, now that they are travelling abroad. At another point they make up a song about John Wayne's teeth, and a running joke in the film is a play on the quote from the Lakota leader Tȟašúŋke Witkó, or Crazy Horse, "Today is a good day to die." which here is given in many variations, such as "Sometimes it's a good day to die, and sometimes it's a good day to have breakfast." Another example is the conversation in the clip below. But the humour is always grounded in a sense of anger or sadness. The two most common approaches from Hollywood towards American Indians has been either to depict them as brutal enemies to be feared or as victims to be pitied. Depictions of Indians on film is also addressed in Smoke Signals, not just regarding Dances With Wolves (Kevin Costner 1990) and John Wayne but in general. At one point a TV is showing a Western, and Thomas says "The only thing more pathetic than Indians on TV is Indians watching Indians on TV." In Smoke Signals, when they get to tell their own story, things are very different, and about time too. There is some debate as to which was the first film directed by an American Indian, but this is one contender, White Fawn's Devotion (James Young Deer 1910). Here is an interview from 1998 with those who made Smoke Signals. This recent article in the New York Times, about a series of suicides among teenagers in Pine Ridge Reservation, gives an example of the struggles that continues. This blog post is related to my two previous posts about some films of George Sherman, the first one here and the second here, films about racism and hatred towards American Indians in a historical context. 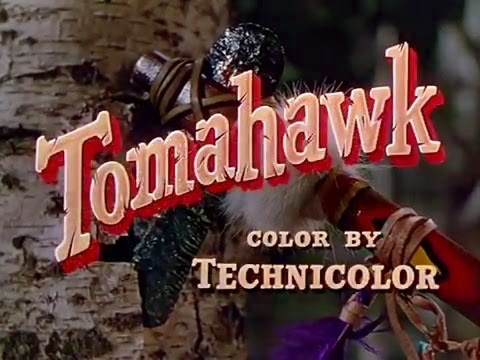 Following last week's post about two films by George Sherman, this post will focus on another of his best films, Tomahawk (1951). It is one of several films produced in the 1950s by Universal-International studio about the wars between American Indians and the US government, and of which George Sherman directed a handful. The screenplay was written by Silvia Richards and Maurice Geraghty. Richards was otherwise working with Fritz Lang at the time (they were also romantically involved) and she wrote two of Lang's films, The Secret Beyond the Door (1947) and Rancho Notorious (1952), as well as Ruby Gentry (King Vidor 1952). Geraghty had written a number of westerns, including a few directed by Sherman, such as the very good Calamity Jane and Sam Bass (1949). It was produced by Leonard Goldstein, who worked with Sherman on many films until Goldstein's death in 1954. Tomahawk is primarily set in 1866, in Wyoming and South Dakota, and there are two stories in the film: the larger historic events and the personal story of Jim Bridger and Monahseetah, and these two stories coalesce. The historical background is the so-called Red Cloud's War, named after a leader of the Sioux nation, Maȟpíya Lúta, or Red Cloud, that took place in these parts of USA between 1866 and 1868. The Sioux and the US government cannot come to an agreement about the land, and the US has built a fort, Phil Kearny, as part of a trade route through what should have been Sioux land, and the fort becomes an irritant for them. In the winter of 1866 Red Cloud and his men lured an army unit of up to a 100 men into a trap and killed them all in a battle (known as the Fetterman Massacre) and after one more year of fighting Red Cloud eventually won this war after he took the fight to the courts, and the Treaty of Fort Laramie (or Sioux Treaty) was signed in 1868. Fort Phil Kearny was abandoned and the Sioux got their land. But the land would continue to be irresistible to the whites and soon war broke out again, and the Indians were inevitably defeated. The court cases have continued to the present time however, and some are still not settled. That was the historical background on which the film is based, and the film stays relatively close to it, and in order to emphasise its historical grounding a voice-over in the beginning and the end provides some of the historical context. The film opens with the camera panning over a cloudy sky and then moving to the ground, to a large grass plain on which a conference is taking place between the Sioux and representatives from the US government (see image above). The voice-over asks whether there is anybody who has the ability to see both sides of this conflict and then answers with "Jim Bridger is such a man". Jim Bridger is based on a real person with the same name who was a scout and trapper and a trader and something of a celebrity in his time, although the Jim Bridger in the film is much younger than the real Bridger was in 1866. His personal story in Tomahawk is that he lived with the Cheyenne and that his wife and child were Cheyenne too but they were murdered by a group of renegade US soldiers. Bridget is also present at the conference (at least in the film), as is his sister-in-law, Monahseetah and his friend Sol Beckworth. At the conference he is clearly on the side of the Sioux, and he does not try to hide his contempt for the US government's lies and deceptions. Also present at the conference is of course the leaders of the Sioux nation, including Red Cloud who leaves the conference in anger, but says that as long as no Sioux is killed he will not go to war, and the soldiers go back to Fort Phil Kearny. When Monahseetah recognises a lieutenant among the soldiers, the man whom she believes killed her parents and her sister, Bridger's wife, they go to the fort to make clear whether the lieutenant is that man and if so seek justice, or rather revenge. Bridger, who is white but has lived and worked with Indians his adult life, and speaks several languages, is the obvious hero in the film, even though he is a bitter and mournful man, and even though the US soldiers are distrustful. The colonel at Fort Phil Kearny asks him where his loyalties are, with the Sioux or with the cavalry. Bridger answers that he does not want to take sides. "I'm talking about the fight. If it comes, you can't be on both sides." the colonel says. "I cross that bridge when I have to." Bridger responds. In the film the real enemies are the US government and individual soldiers, who can be racists and murderers. The lieutenant, with his short blonde hair, looks rather like a Nazi villain and in the end, when faced with Bridger's vengeance, he defends himself by saying he was just following orders. But, as in Sherman's Reprisal! (1956) discussed in the previous post, racism is everywhere. There is a woman who has fallen for Bridger, Julie Madden, and he tells her about what happened to his wife. "I'm so sorry." she says, and he angrily replies "You're sorry, but only for me. You're not sorry for her. She was just an Indian..." But Bridger cannot just stay outside and observe, as a white man in Sioux territory his position is fraught, whatever he might think. He and Red Cloud's favourite son do not get along and eventually they fight it out, a fight to the death with Bridger the survivor. He does not want to fight, or kill, but it came to that anyway. That is the final straw for Red Cloud. The above mentioned Fetterman Massacre is depicted in the film, although the film version have fewer men involved and is not set in wintertime. Directly afterwards comes yet another attack by the Sioux against the remaining soldiers, including the civilian Bridger. But now the soldiers have been equipped with new, modern rifles, much more efficient and quicker than the old ones. Red Cloud's strategy is based on the slowness of the older weapons and as a consequence most of his men are mowed down, in front of the sad eyes of Bridger. Afterwards the colonel talks about their victory, and Bridger replies "You didn't beat them Colonel, it was those breech-loaders [the new guns]. It was a mechanical thing that beat them." Finally, as happened in real life, a new treaty is signed and Fort Phil Kearny is abandoned. 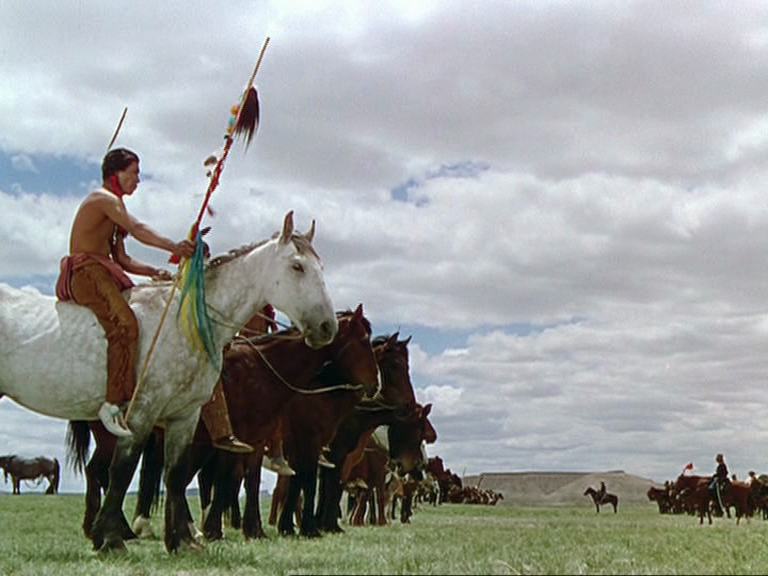 That is where the film ends, with the Sioux as the winners. It is probably the only film where the happy ending has the US cavalry leaving their fort and triumphant Sioux burning it down behind the retreating soldiers. Tomahawk does work rather well as a history lesson, even if it of course is not 100% accurate. It also works well as a film. Van Heflin who plays Bridger is very good, and the fact that the film is shot on location where the real events too place does wonders. 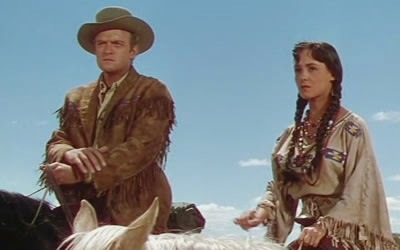 What is unusual in the film is that the Sioux and Cheyenne speak their own languages, and Bridger too speaks their languages, and when he and Monahseetah speak with each other it is not in English but Cheyenne (although she is played by Susan Cabot, and not an American Indian). Visually Sherman's images are impressive, with the humans often appearing as little dots under an immense sky and on the open landscapes, the horizon seemingly endless. Some shots are exceptional in this regard. There is only one scene with obvious fake, plastic background, and it is unfortunate because it is also the emotionally most intense scene in the film, when Bridger is telling Julie Madden about the killing of his wife and child. He is covered in sweat, and can barely speak the words, so unbearable are they. It is an uncomfortable scene, and a significant one too. The same racism and brutality that would later come to the surface again, in for example My Lai, is exposed. This will be the last Sherman post for a while. I still have very little information about the context and the working relationships and practises at Universal in the 1950s, but I imagine that these films were made by a small group dedicated to doing progressive stuff, and that they might very well have had problems with McCarthyism. * But it is not only at Universal. Sherman also made films for Columbia, with similar themes and mood, such as Reprisal!. The research continues, and there will most likely be more posts on Sherman in the future. Tomahawk is what the Sioux call Bridger. *So-called pro-Indian films were rather common in the 1950s, beginning with two releases in 1950, The Devil's Doorway, directed by Anthony Mann, and the major hit Broken Arrow, directed by Delmer Daves. Sherman's Comanche Territory from the same year is also pro-Indian (it ends with Maureen O'Hara's feisty saloon keeper stealing a wagon filled with guns and handing them out to a group of Comanche so they can defend themselves against the white settlers), although the tone of that film is more light-hearted. This is not to say that there were no pro-Indian films prior to 1950, it is just that they were not explicitly called that. My earlier post about George Sherman are here (a full overview of his career), here, and here. Update: I had inexplicably written Colorado Territory instead of Comanche Territory, but that has now been corrected. Colorado Territory is an even better film though, directed by Raoul Walsh in his prime.